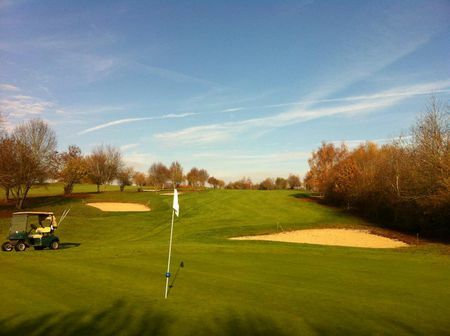 The par 72 championship course at Clervaux measures 6,051 meters from the back tees, offers a varied and technical layout and is suitable for golfers of all abilities. 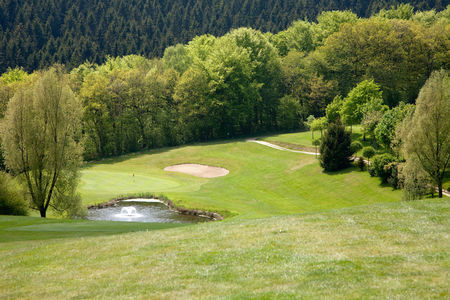 The course is perfectly integrated in the tranquil countryside in the north of Luxembourg, about 1 hour from Luxembourg city. We have a driving range with 40 places, 12 covered, a putting green, an approach-wedging area with target greens defended by bunkers and a 3-hole-compact course (Par 10). You can rent golf trolleys, clubs and electric carts. The brand new locker rooms and showers are luxuriously furnished. 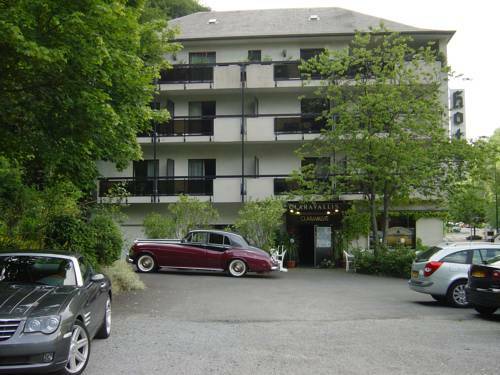 Beside of the golf course you will also find a nice 4-star hotel at the Club from where you can enjoy nice views on the course and enjoy excellent food. Un the middle of pure nature ! A quite tricky course, up and down , with nice small lakes . Not easy but such a pleasure to come back here for a weekend . 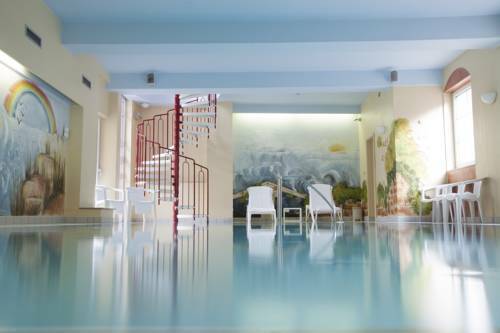 Stay in the hotel at the Clubhouse, everything is done to make your stay perfect . 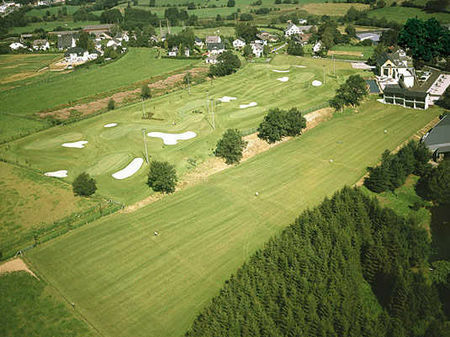 Golf de Clervaux is ideally situated near to the Belgium border within the Ardennes. The golf course is challenging with a lot of up and downs and unpredictable ball bouncings in the dry season. The Par 3 holes are not the best on the course which is generally spaking not well decorated in terms of flowers. The practice facilities have been overworked in 2017 and offer a good standing. 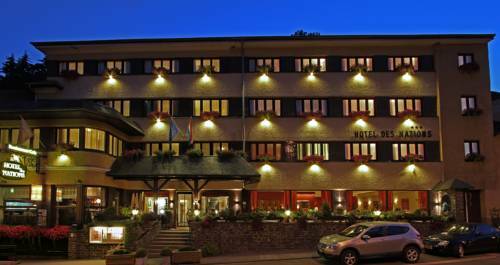 The attached hotel with business meeting rooms, make the infrastructure ideal for business golf meetings. 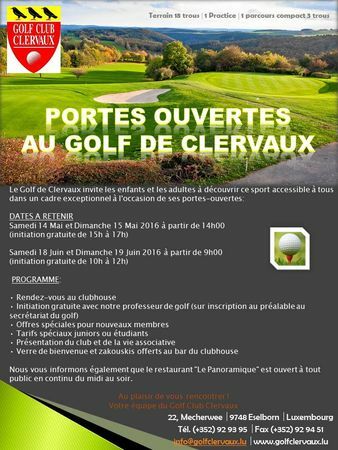 Golf Club Clervaux offers a challenging course located in the north of Luxembourg. Some holes (8,11,16,17) are very tricky and even though they might not be the best golfing holes in the world they are interesting and fun to play. Avoid the big numbers on these holes in order to post a decent score. In summer the course becomes very dry and you have to expect a few unlucky bounces. Usually course maintenance is average. The driving range has recently been rebuilt and is now much better than it used to be. The food at the clubhouse is good.